Petwork Park, West Sussex, is well-known as one of the great creations of Lancelot "Capability" Brown. 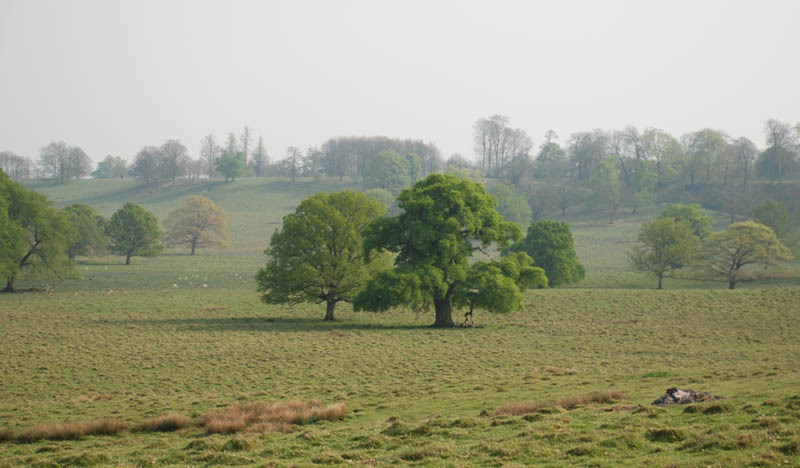 Here the huge Petworth House in the distance, famous for its large collection of paintings. In the deerpark a lot of nice, old trees can be seen. By far the most and the biggest are Common Oaks and Sweet Chestnuts. Of both species specimens from the 18th century have survived, although the storm of 1987 has blown over many of them. 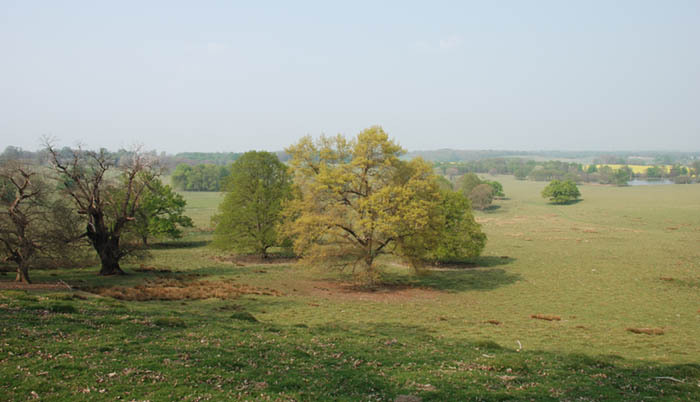 The 270 hectare large deerpark of Petworth is famous because of its wide vieuws. It resembles me of an African savanne. 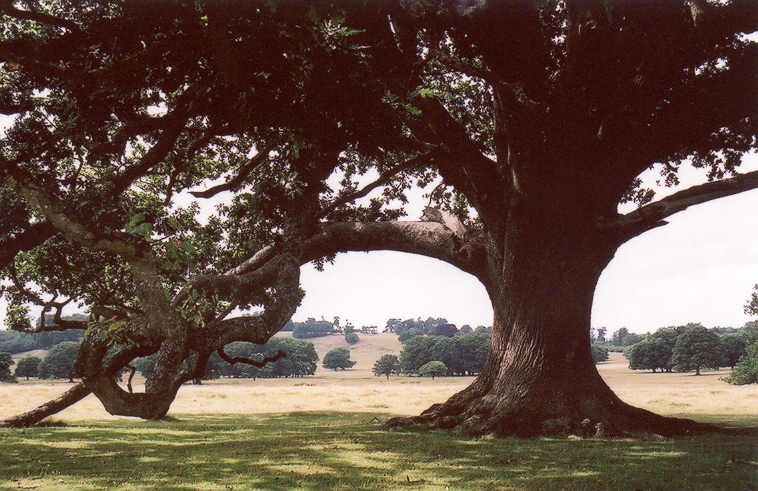 This is one of the most beautiful and harmonious formed English Oaks in Petworth Park, perhaps planted around 1755 by Capability Brown himself and to be found just south of the northern pond. Its measurements: 22m tall, 35m crown spread, 600 cm girth (@ 1,3m). 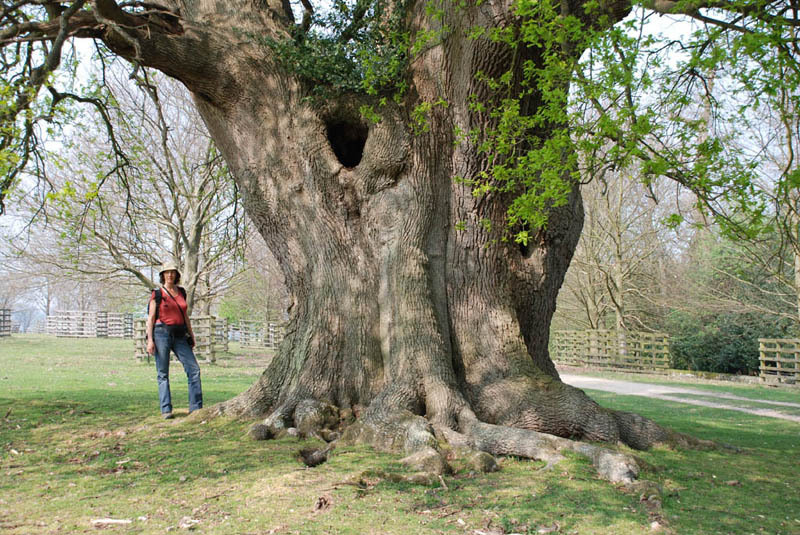 The largest oak in Petworth, with a girth of 9 meter, probably dates from around 1700. We saw a good looking face in it and called it the 'Laughing Oak'. 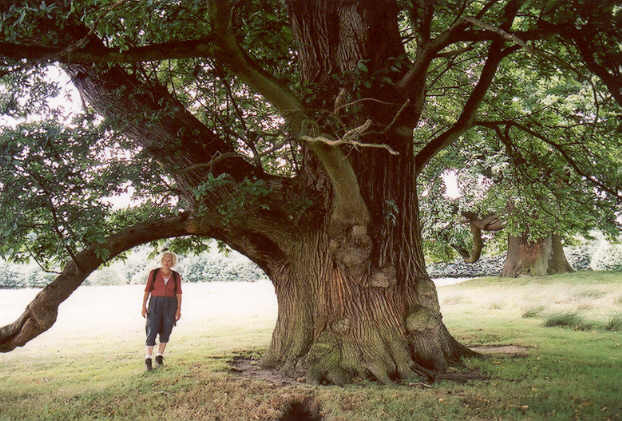 Nearby it stands a beautiful tall Sessile Oak with a 706 cm girth. Outstanding in Petworth are also many big Sweet Chestnuts.